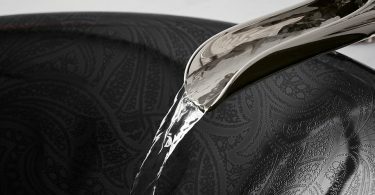 I am currently infusing black accents into my signature grey and white palettes. 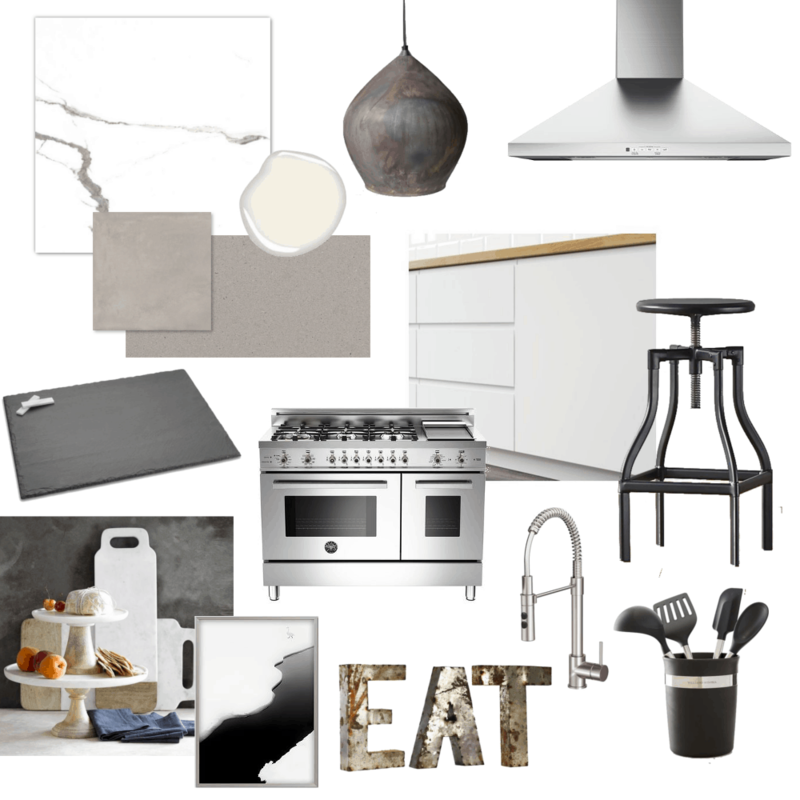 For this kitchen design board, I created a monochromatic scheme with elegant touches and dramatic black accents. I started with a large format Grey Concrete Porcelain Matte Tile for the floor and all white cabinets with clean fronts. 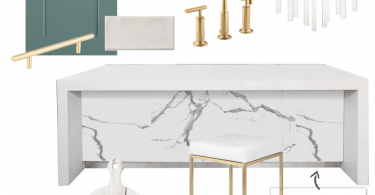 Topping the cabinets would be a concrete look counter top and a Genova Porcelain Tiles back splash. 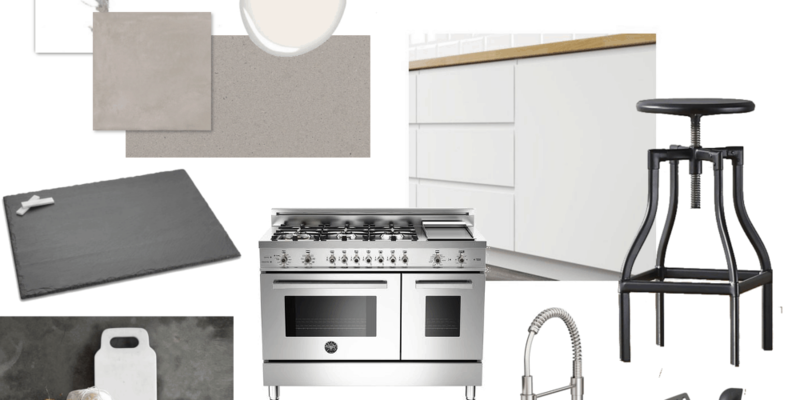 To finish the look, I added accessories in crisp white and black, modern stainless steel appliances and a few textural pieces for a bit of personality.